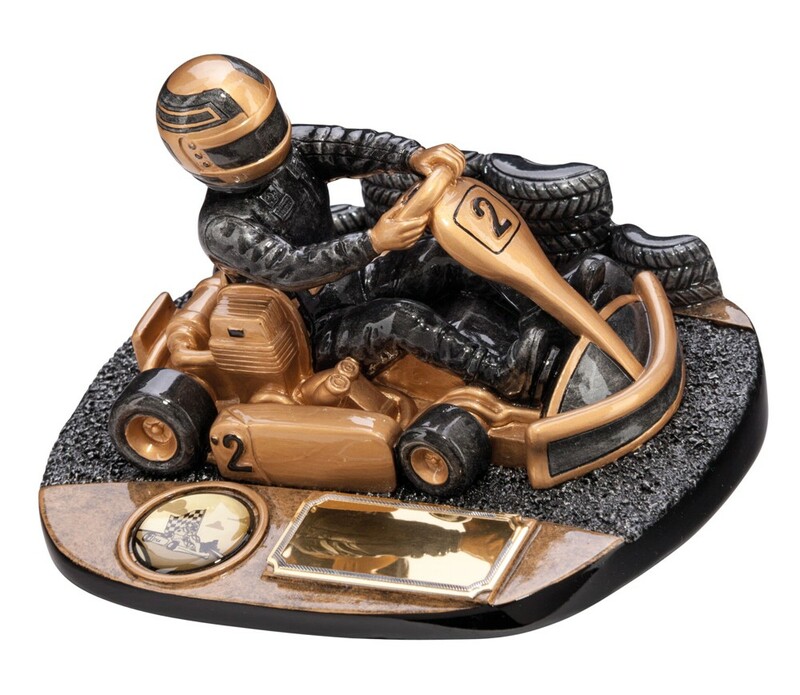 Resin Rapid Force Karting Trophies. Available in 3 sizes, 75 x 130mm, 90 x 145mm and 105 x 180mm high, they are solid resin good weight awards. Gold with antique silver detail. Please note the number of the cart 'number 2' is standard and can not be changed.